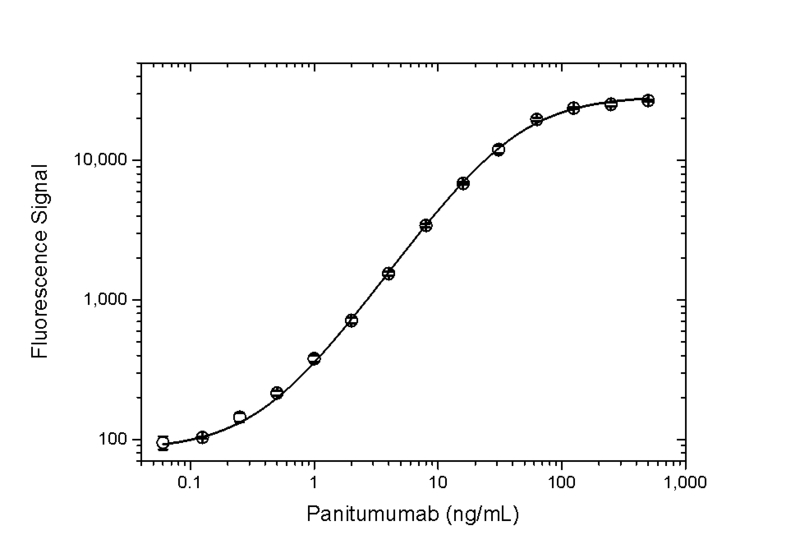 Anti-panitumumab antibody is a recombinant, neutralizing, anti-idiotypic monovalent Fab antibody; it is ideal for bioanalytical assays to measure levels of panitumumab and biosimilars. 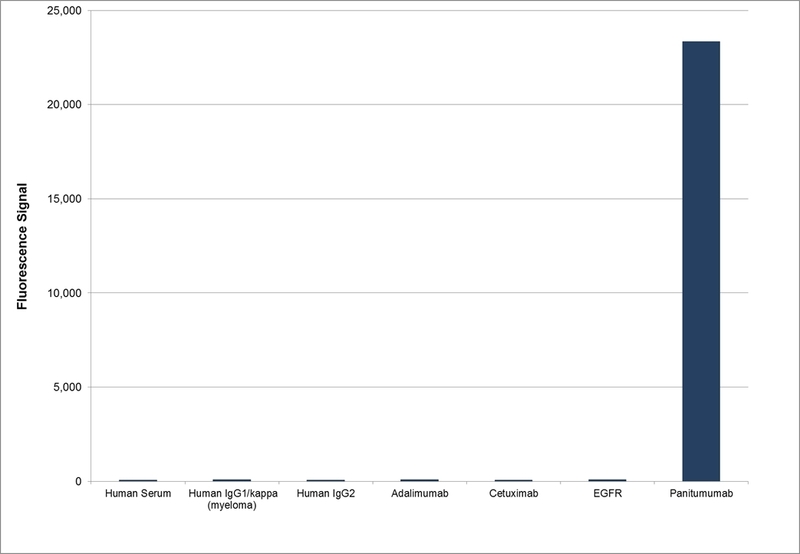 It is recommended as capture antibody in a PK bridging ELISA format with HCA265 for detection. 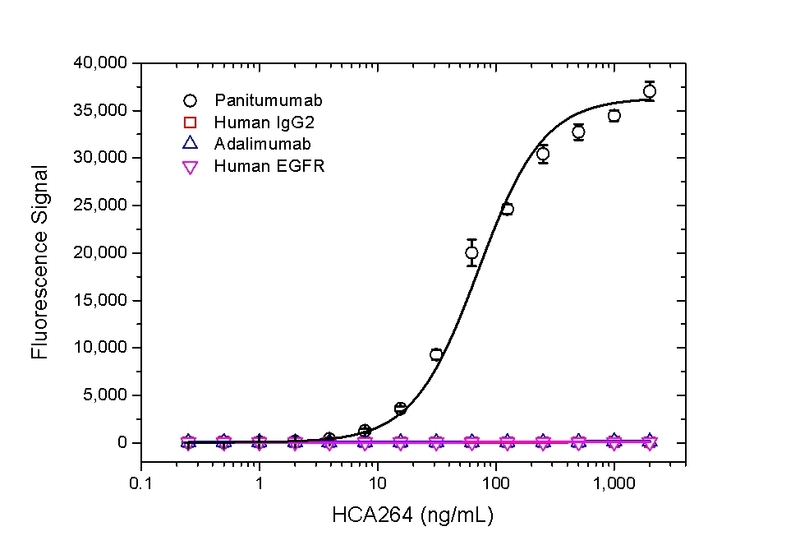 Human anti panitumumab clone AbD23894, is a paratope specific, high affinity, anti-idiotypic antibody that specifically recognizes the monoclonal antibody drug panitumumab and inhibits it binding to its target, epidermal growth factor receptor (EGFR). The antibody can be used to measure the levels of panitumumab and biosimilar products in bioanalytical assays. Our anti panitumumab antibodies can be used to develop a pharmacokinetic (PK) bridging assay to measure free drug. This antibody, in monovalent Fab format, is recommended as the capture antibody, paired with an antibody in full immunoglobulin (Ig) format as the detection antibody, clone AbD23897_hIgG1 (HCA265) or clone AbD23895_hIgG1 (HCA266). The antibody in Ig format can also be used to develop and calibrate immune response assays to measure the anti-drug antibody (ADA) response in patient sera. Panitumumab (Vectibix®) is a fully human monoclonal antibody (IgG2/kappa) specific to the transmembrane protein EGFR. The drug binds to the extracellular domain of the EGFR, inhibiting the activation of the intracellular signalling cascade. It is approved by the FDA and EMA for the treatment of EGFR-expressing metastatic colorectal cancer. 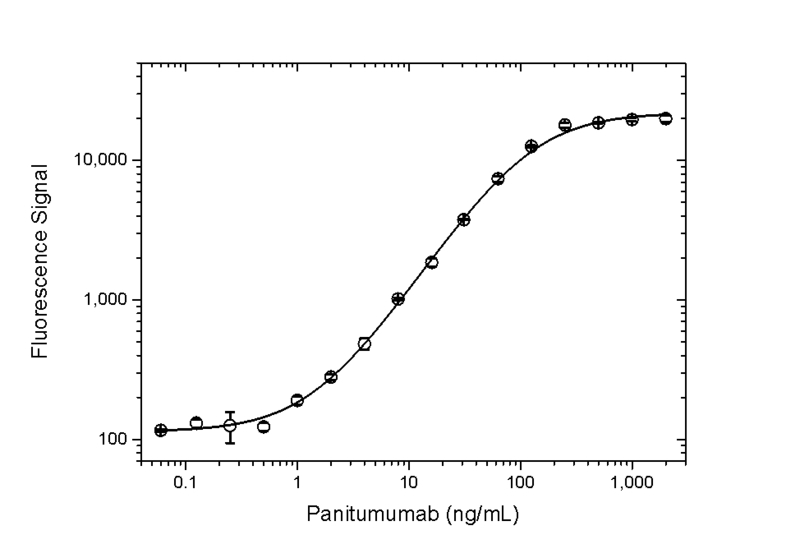 The monovalent intrinsic affinity of this antibody was measured as KD = 0.3 nM by real time, label free molecular interaction analysis on immobilized panitumumab. This product may be used in direct or indirect ELISA and in an ELISA bridging assay as a capture antibody together with HCA265 or HCA266 as the detection reagent when conjugated to a suitable label, e.g. HRP.